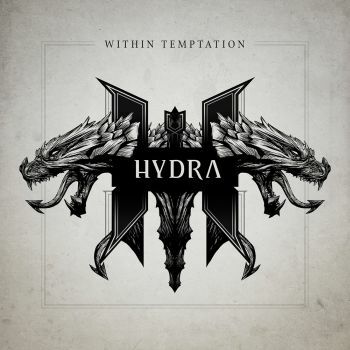 WITHIN TEMPTATION - HYDRA (CD) | Online Shop | Wizard LTD.
Dutch symphonic rockers WITHIN TEMPTATION will release their sixth studio album, "Hydra", on January 31, 2014. The album will be available in several luxury formats. The cover artwork was created by by Romano Molenaar ("X-Men", "Batman", "The Unforgiving"), and can be seen below. "It&apos;s like us – undefinable!" laughs WITHIN TEMPTATION guitarist and songwriter Robert Westerholt. "What&apos;s more, &apos;Hydra&apos; is a perfect title for our new album, because like the monster itself, the record represents the many different sides of our music." WITHIN TEMPTATION collaborated with several special guests on "Hydra": Tarja Turunen (formerly of NIGHWISH), Dave Pirner of SOUL ASYLUM, metalcore hero Howard Jones, formerly of KILLSWITCH ENGAGE and U.S. hip-hop icon Xzibit.